It is not easy to get very nice Weiqi sets in Singapore; firstly, the game is still not widely known to the public, secondly, as the entire set is as heavy as 7 kg in total, the shipment cost to bring in a set is really expensive. I have tried to import a few Weiqi sets from China, Yunnan and Fujian. 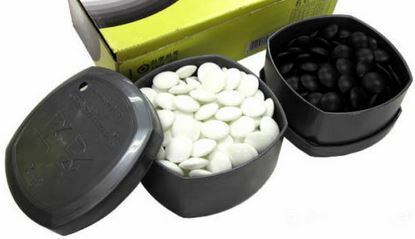 Each set consists of Black and White stones with nice containers and a solid wooden board. This Weiqi set consists of a solid 3 cm wooden Weiqi Board, a set of black and white high quality Single-sided or Double-sided Yunnan Stones that comes with nicely carved smooth wooden bowls. Please email me at benson@weiqi-to-go.net if you want to purchase the above Yunnan Weiqi set. The equipment used in a Weiqi game is very simple. 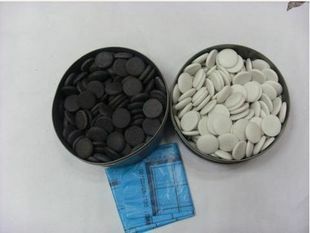 You will need a Weiqi board (aka Goban in Japanese) and a set of Black and White stones, about 180 stones each. 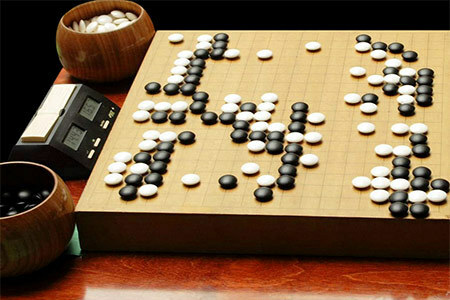 Weiqi boards come in 9×9, 13×13, 19×19 sizes. Sometimes a 15 x 15 or 17 x 17 can be found, but they are rare. 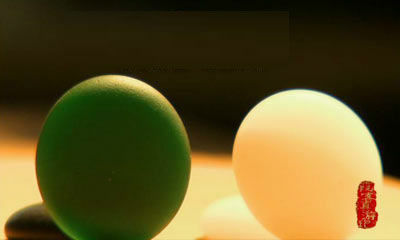 The stones can come in various types and prices. Gem stones (highly priced and rare) $????? 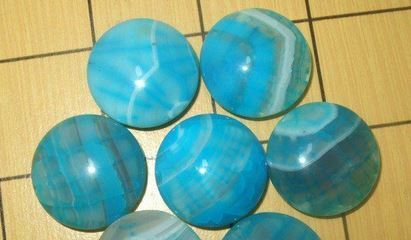 In this page, I will recommend Weiqi learners to get their boards and stones from various places. 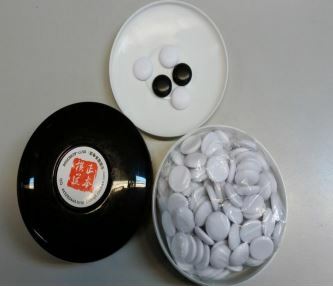 Magnetic Weiqi sets can be purchased from Singapore Weiqi Association. 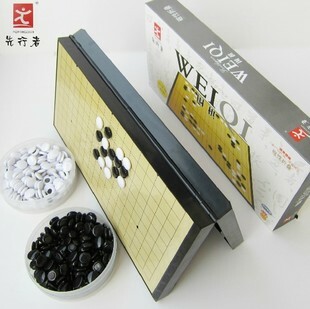 This Weiqi set is very handy and light for travelling. For standard Weiqi set, you can get it from Singapore Weiqi Association either at Bishan or Bugis clubhouses. Weiqi Board comes in 9 x 9, 13 x 13 for teaching and 19 x 19 full size board. Why are there single sided and double sided stones? Single sided stones are popular in China. These stones are usually larger in size and are flat at one side, as such these stones stick to one another without leaving much gap in between. They have a neat and tidy feeling when played on the board. Double sided stones are commonly used by Japan and Korea. Slightly smaller in size by 1-2 mm. When played on the board, they create a nice 3D visual feeling. Double sided stones are slightly more expensive than the single ones.